The following content is a brief and unofficial guide to testing and using ShareFile Workflows prior to implmenting it for a PoC. The views, opinions and concepts expressed are those by the author of this entry only and do not necessarily conform to industry descriptions or best practises. The views expressed here are my own and do not necessarily reflect the views of Citrix. Its a cloud-based file sharing service that enables users to easily and securely exchange documents from any cloud to any device or location around the global securely (HTTPS) with auditing, eSignature, document workflow, check in/out, multi-factor auth capabilties and so much more! For a good overview visit https://www.sharefile.com/features. I love this why ShareFile video its simply brilliant! A good 2 minutes well spent that leaves you felling happy and understanding why ShareFile? It’s about wrapping a collaborative workflow around the actual document to acheive an outcome more efficently at a faster pace that before as all invited parties are able to collobrate on the same document by annotating with comments in any area and start a conversational thread with the ability to finally mark the annotated comment(s) as “Resolved” and the initiator of the Workflow can “Agree” to comment(s) using a simple thumbs up. Finally the invited party(s) have the ability to approve the workflow. Approving the Workflow disables any further collaborating capabilities and therefore allows the initiator and most likely the document author to begin making necessary changes to the documents via a traditional installed, web or virtual Office app. 1. Login into https://*.sharefile.eu or .com from your favourite internet browser. 2. Once logged into select to Upload a sample Word or PowerPoint document with a screenshot of your organisations website and some text from a different webpage beneath it. If you’re already using ShareFile Drive Mapper drop it into a folder within your “Personal Folder” and if you have no idea what I am talking about you should def 100% STOP download it now from – https://www.citrix.co.uk/downloads/sharefile/clients-and-plug-ins/sharefile-drive-mapper.html and then read this CTX article before continuing to read further – https://support.citrix.com/article/CTX207791. 3.Once you’ve upload or synced the sample document refresh your internet browser and under “Recent Files” select the file and your see a preview (powered by MS Office365 Preview) of the document on the left and some actions on the right hand side look for “Initiate Approval” and select it which will open up a new browser tab with the following URL e.g https://citrixworkflows.sharefile.com/workflows/new?sharefileStreamId=xxxxxxxx where xxxxxxxx represents the ID of this workflow. 6. Select a due date e.g the next days date or a date within 7 days from the date of initiating the workflow so your approvers have time to respond if you aren’t able to view there calendar(s) so they can provide annotate and provide feedback on the sample document. 7. Add Approver(s) (Add people who are required to approve this document) E-mail address and Name (optional but preferred) and you can require that they have to login and I love this check box feature “Every approver must re-approve newly uploaded versions”! 8. My next favourite feature “CC’s” allows you to include any individual(s) whom can access the workflow workspace and comment, BUT they cannot approve the document workflow 🙂 ! 9. You can also add message that the recipients will receive when you start the workflow. 10. Review your approvers, CC’s and message and then select to “Start Workflow”. 11. You can begin to annotate the document in your chosen area(s) including starting a conversation with all participant(s), while ShareFile e-mails them. 12. Approvers and CC’s receive an e-mail notification with a secure link too join the ShareFile workflow workspace that you have already started to work on. 13. You’ll receive notifications that participant(s) are commenting on your annotations, replying to your activity thread. 14. The Approver in this case has now agreed to all my annotations and has chosen to “Approve” the document approval workflow as he/she agrees with the suggested document changes, which the author can now begin to edit the way he/she would like to e.g online directly from ShareFile provided that you have the correct Office 365 subscription for more info check out “CTX208340 ShareFile Office Online Editing” – https://support.citrix.com/article/CTX208340. 15. You’ll also receive an e-mail notifying you that the workflow has been approved!. 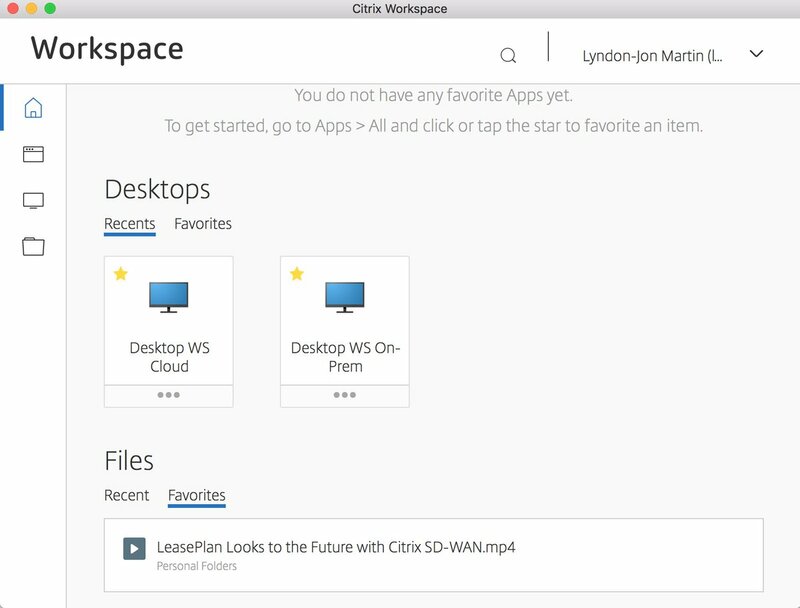 There is also a simple overview of the Feedback and Approvals Workflow by Citrix ShareFile available at – https://www.youtube.com/watch?v=ASEUqcaOt7k or watch the embedded video below. In summary ShareFile Workflows helps you and your organisation collaborate on documents more efficiently to acheive outcomes at pace with better results! Quiet often I’m asked are there any available APIs for ShareFile Workflows? Yes! Its accessible at the following URL at – http://api.sharefile.com/rest/docs/resource.aspx?name=Workflows. The eSignature capabilities within Citrix ShareFile is powered by the acquisition of RightSignature with more details available at https://www.sharefile.com/resources/rightsignature and https://rightsignature.com. This entry was posted in Citrix, Mobile Content Management, Mobile Information Management, ShareFile, Workflows, Workspaces and tagged CTX208340, Digital documents signed, Drive Mapper, eSignatures, http://api.sharefile.com/, Office 365, RightSignature, ShareFile, ShareFile Approval Workflows, ShareFile Office Online Editing, ShareFile Workflows, sharefile.com, sharefile.eu on June 3, 2017 by lyndonjonmartin. The following Citrix infographic is from the following Citrix blog post at – https://www.citrix.com/blogs/2017/04/04/gdpr-compliance-redefining-the-price-of-privacy/ by Kurt Roemer – https://www.citrix.com/blogs/author/kurtr/. This entry was posted in Citrix and tagged Compliance, Enterprise Security, GDPR, GDPR Compliance, General Data Protection Regulation (GDPR), HIPAA, PCI-DSS, Secure your digital business, Security, ShareFile on April 5, 2017 by lyndonjonmartin. The following content is a brief and unofficial prerequisites guide to setting up Citrix ShareFile Storage Center (On-Prem StorageZone, StorageZone Connector) by the author of this entry. The views, opinions and concepts expressed are those by the author of this entry only and do not necessary conform to industry descriptions or best practises. 1: You’ll need a publicly signed SSL certificate DO NOT use an Enterprise CA as the ShareFile storage center server connects externally to the ShareFile control plane via HTTPS and ShareFile checks to ensure that your SSL certificate is publiclly signed otherwise communicates between the Control Plane and SZ will fail. 2: Remember the higher the certificate encryption strength means you may need to consider adjusting the computing power resources applied to the VM hosted and delivering the ShareFile On-Prem service. 1: Ensure that you have a ShareFile Enterprise account with StorageZones enabled. 2: You need to create and test your external FQDN records and open up port 443 in/out over TCP for your FQDN e.g sharefile.yourcompany.co.uk and once you’ve installed the IIS role + ASP.NET + .NET Framework 4.0 and bound the publicly SSL cert to your Windows Server 2008 R2 you should be able to navigate to the FQDN on HTTPS and see the default IIS landing page . NOTE: The SSL cert should match the FQDN otherwise your receive mismatch errors. 3: Navigate to http://www.sharefile.com with your super-admin credentials once your logged in select the “Admin” tab and select the “” option from the menu on the right hand-side and create a sub-domain. ShareFile offers a maximum of 3 per organisation. 4: Install the ShareFile storage center 1.1 software and follow the on-screen instructions. 5: Open up IIS Manager under the server’s ISAPI and CGI Restrictions, set the ASP.NET 4.0 Restrictionsh value to Allow. 6: Provision a CIFS share either locally on the ShareFile storage center on the C drive or attach another drive e.g and apply the appropriate permissions or ensure access over the necessary VLAN’s+ports to your organisations CIFS share on a NAS or SAN. 7: Launch the configuration page on the server locally and sign in with the ShareFile super-admin credentials now follow the on-screen instructions to complete the ShareFile storage center configuration. 2: Download the ShareFile UMT Bit.ly link to http://www.sharefile.com and follow the on-screen installation instructions. 1: The control plane www.sharefile.com will NOT accept SSL certificates that ARE NOT signed by a public CA installed on the Storage Center server offering up your On-Prem SZ to the Control Plane. This entry was posted in Citrix, Mobile Information Management, ShareFile and tagged Control Plane, ShareFile, Storage Center, StorageZone, SZ, SZC on May 31, 2013 by lyndonjonmartin.